Trinity Yacht is Elite Yacht Builder, Claims its CEO – Superyachts News, Luxury Yachts, Charter & Yachts for Sale. New Orleans – Los Angeles – 16.06.09 – Located centrally on Gulf Coast of United States, Trinity Yacht builders has been coming up in a big way in the super yacht market now. The company excels in the manufacturing of custom yachts and that has earned for it the reputation as elite yacht builder of United States. 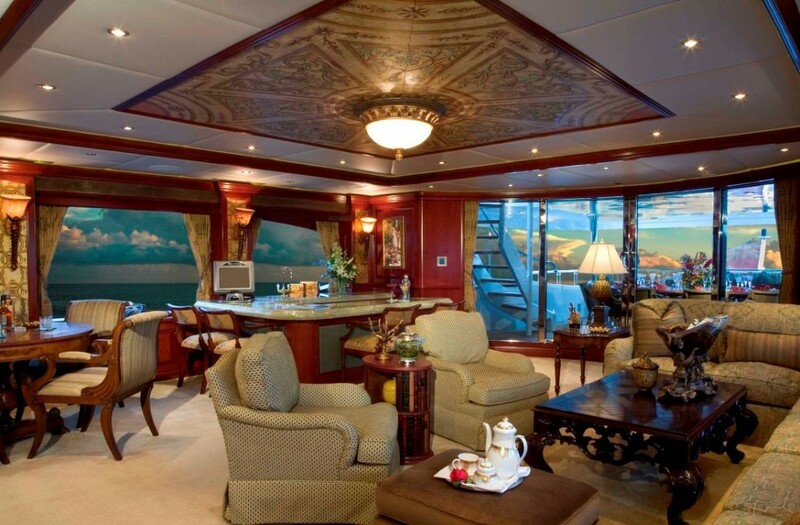 Motor Yacht MINE GAMES interior craftmanship is pictured. “The company gives emphasis on European quality, steel and aluminum constructions. Our goal is to build a truly custom yacht that fulfills all of your unique cruising desires”, said the CEO of Trinity Yachts in a press conference. “In a world where most yachts are constructed on a semi-production basis, we offer you the ability to build to any design in any size up to 400 feet (123 meters) We have worked with a number of the world’s most renowned naval architects and interior designers and are pleased to quote on any design that has been produced for you independently”, he went on to say. Staff of the Company is reportedly ready to provide any customer with designs of the famous victory land series as well as the global explorer series of excellent quality motor yachts. Their in house naval architects and engineers can offer the designs relating to a variety of sizes and they could be customized to the specific requirements of the customer. What makes the yacht unique is not only its built but its exotic interior. The company designers have left no stone unturned to provide all the decorative excellence to the interior of the yacht. One might feel that he is in a class hotel and not inside the cabin of a yacht when he or she visits it.